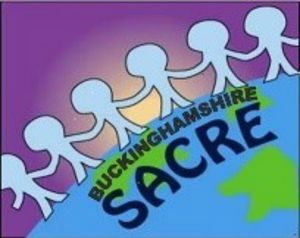 Buckinghamshire SACRE (Standing Advisory Council for Religious Education) is working with Art Beyond Belief (ABB) a local social enterprise charity which develops creative ways of exploring identity, belief, religion and culture with all ages. We felt that identity-in-difference is an important concept to explore with young people, as it recognises the similarities that hold us together as people and the different ways in which communities and cultures live out what it means to be a person. Resilience is a concept that is used a lot in education and also in ‘Prevent’, and there are issues in Buckinghamshire around different forms of radicalisation. Schools have a critical role to play in this, but predominantly as educators, and we feel that good SMSC and values education, exploring resilient individual and communities educationally, is a way of “preventing the need for ‘Prevent’”.